The Missouri Parks Association is a group of over 3,000 Missourians and other friends united by our love for, and interest in, Missouri's state park system. Our association began in 1982 at a time of financial crisis, when strong political interests were planning to dismember the park system and hand it out in pieces to other agencies. We met that challenge, defeated it, and led an effort to put the park system on a stronger, more consistent financial footing. We've been together ever since. We have two key purposes—we educate public officials and the general public about the values at stake in our state park system and we defend our parks and historic sites when they are threatened. We are a member-supported organization run entirely by volunteers who enjoy this beloved Missouri institution and aim to keep it a system in which we can all take pride. Thanks for visiting our webpage and please come back often to see new park and historic site features. You can also find us on Facebook. Even better, we'd love to have you join us as a member of the Missouri Parks Association. The Missouri Parks Association is an all-volunteer group dedicated to supporting Missouri's extraordinary system of state parks and historic sites. Click the button below to become a member! The February issue of Heritage highlights the new cultural resource initiative addressed at the MPA Annual Meeting and pays tribute to conservation champion Pat Jones. MPA's Urban Populations Outreach Project continues in Kansas City, St. Louis, Joplin, and Columbia. 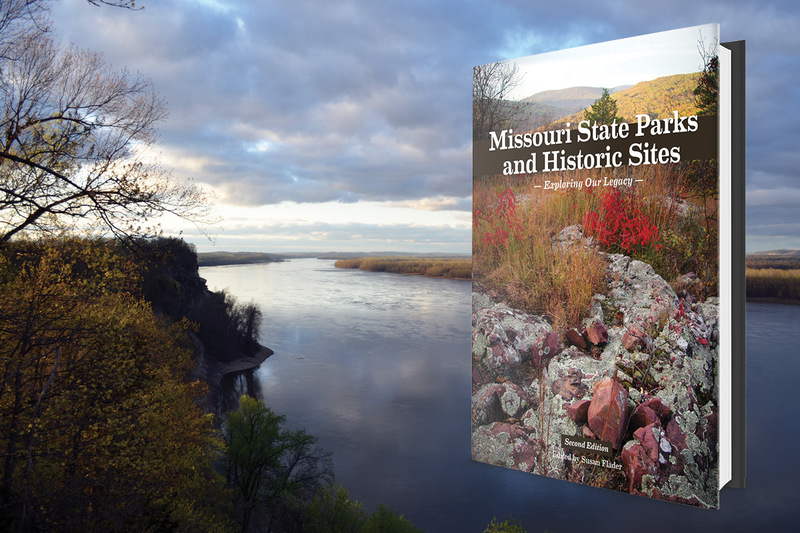 The newly updated edition of Missouri State Parks and Historic Sites: Exploring our Legacy is now available at a 20 percent discount for MPA members or, for non-members, at the regular price with a one-year MPA membership included. To find out more about the book and ways to get a copy, click here. Interested in learning more about Thousand Hills State Park? Join MPA on April 27, 10:30 a.m. to 3:00 p.m. for a tour of the park and activities that highlight the natural, cultural and recreational resources offered. Lunch will be provided by MPA and the event is open to MPA members and prospective members. Preregistration is required so please email your name and number of people attending with you to moparksoffice@gmail.com. *A confirmation email with schedule of events will be sent to you after registration. Copyright ©2012-2019 Missouri Parks Association. All rights reserved. Web Design and Web Development by SteadyRain.